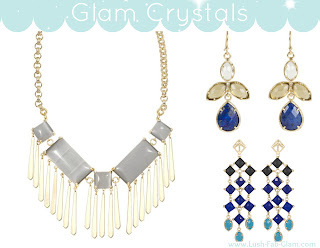 Lush Fab Glam Inspired Lifestyle For The Modern Woman: Chic Accessories For Fall. ﻿Chic Accessories For Fall And Winter. Don't let your style suffer because the colder temperatures of fall are here. 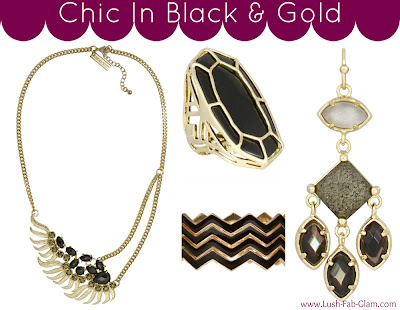 This fall go bold, go chic, and jazz up your dark hue outfits with jewelry and accessories that are perfect for fall. The fall and the winter seasons will be here before you know it, get ready for those festive occasions now by saving on chic earrings, necklaces, bracelets and more fabulous pieces that you will love to wear all season. Read on to see our top picks for must have fall jewelry. 1. 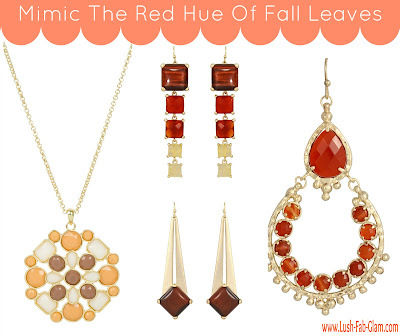 Infuse the red and gold hues of the beautiful fall leaves into your personal style. 2. 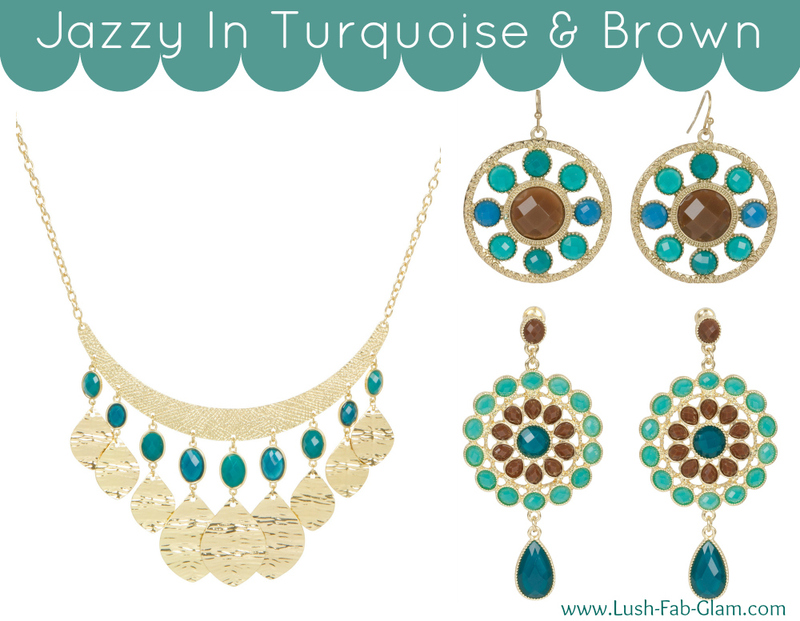 Jazz up your work wear, beige, brown and casual outfits with beautiful light and dark turquoise jewelry. 3. Make a style statement and take your LBD, cocktail dress or blazer outfit from casual to chic with black and gold jewelry. 5. 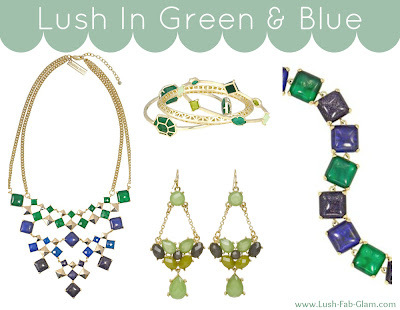 Wear jewelry that mixes fall's trendy cobalt blue with green hues for a lush look. Shop the featured jewelry above and find fab accessories and more now on sale at Layla Grayce. Plus save an additional 15% off already reduced sale items with code EXTRA15. Get the ones you love now before they sell out! Don't forget to share this fab style guide and sale alert with other fashionistas. Love this post? Don't miss our fab tips, subscribe here to get them delivered to your email inbox for FREE. .